What do you do with your recycling? Chances are you sort it throughout the week and then on collection day, you put it out at the curb. However, there are some items that either cannot be recycled that way or will better benefit you if you recycle them elsewhere, namely scrap metal and CRV. For these recyclables, you need to take them to specialized processing plants, and the one serving Claremont is Ecology’s Fontana recycling center. At Ecology, we want to get as much of the Claremont community as possible to start recycling or get them to recycle more. To help, we offer redemption for your recyclables and have streamlined our processes at our conveniently located recycling center to make everything easy for you. If you are a resident or business in Claremont with scrap metal or CRV to recycle, bring it to us and earn some extra money in the process. When you put something in the trash, it’s simply hauled off to a landfill and left there to sit. In the best-case scenario, nothing happens besides it taking up space. In the worst-case scenario, chemicals will seep out that hurt the environment and the health of local residents. Recycling means we can skip some of the more damaging steps in the manufacturing process. It means less mining, less water used, fewer trees cut down, and a reduction of other processes that strain the environment. By eliminating steps in manufacturing, we also reduce the amount of energy used. Since clean energy is generally not used in manufacturing, this helps to cut down on pollutants. Of course, the immediate benefit to you is that when you recycle with Ecology, you earn money. This allows you help the environment and ensure that you get something tangible out of the process. Scrap metal recycling is scrap metal that can be recycled at various points in their lives, and there is a good chance you have some sitting around right now. In essence, it is just any metal sitting around that you have no use for. Old appliances, broken-down car parts (even the body), wiring, hardware, rusted bikes, and more are all scrap metal that can be recycled here at Ecology. And when you bring it to us, or have us pick up the large loads, you make money. Scrap metal comes in two types: ferrous and non-ferrous. They are made up of different elements, which means they have different applications and different compensation rates. Our recycling center near Claremont accepts both types. Ferrous metals are metals made from iron and steel. They are magnetic and are used in many things, including cars and appliances. You can determine which metals are ferrous with a magnet, but you do not need to sort them before bringing them to our recycling center; we will use an industrial magnet to separate them from non-ferrous metals so you don’t need to do any extra work. Ferrous metals have a lower compensation rate than non-ferrous metals, but bringing them in is still worth it. For one, you get rid of the junk you have sitting around, and for another, you earn money by doing it. Not to mention that when you bring it in, you help to keep Claremont the beautiful community it is. These metals do not contain iron or steel, and as such, do not have magnetic properties. Some non-ferrous metals are bronze, aluminum, copper, and stainless steel. You can find these metals in everything from your plumbing system to your bicycle. We offer the best compensation rates for your non-ferrous metals at our recycling center. Our state is one of incredible natural beauty, and as such, we have long taken steps to preserve it. To help, the State of California started a CRV program designed to encourage residents to recycle more. It does this by offering compensation when specific items are recycled. Items that are part of the CRV program are drink cans (soda, beer, juice, etc.) and glass bottles (soda, beer, wine, etc.) as well as certain plastics. You can tell which products are part of the CRV program because their compensation rates are printed directly on them. We are able to process these recyclables at our recycling facility and you can redeem the value for them. For small lots, we process them by the number of items, but if you have more than 50 items, we will process them by weight. Just bring your CRV recyclable items in clean and dry and we will process them quickly. 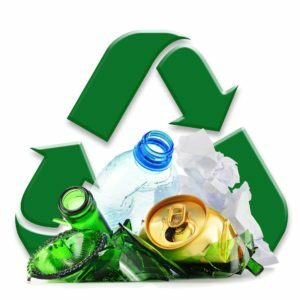 What is the main reason people do not recycle? Usually because it isn’t convenient for them. This is especially true for those who don’t have a free recycling service in their area. This is why we take multiple steps to streamline our process and make it easier for you. If you have a small load, you just need to drive it over and we handle everything from there, doing it quickly so you can leave with the money you earned. If you have a large load, we offer a special service to help. What is this special service? We loan large roll-off bins to you, delivering them to your site and collecting them when they are full. You can request this service just once or on an ongoing basis. In fact, we can collect the bins and replace them multiple times a day if needed. Our bins come in multiple sizes to meet your needs. If ever you are uncertain if we can recycle an item, all you need to do is call and ask. Ecology is a business, but our primary goal is to help the environment and improve quality of life in Claremont and all the cities we serve. When you work with us, you help the environment while helping yourself. No matter how much or how little scrap metal and CRV you have, we will process it and offer you competitive compensation rates. Contact us at our recycling center near Claremont, Ca to learn more.